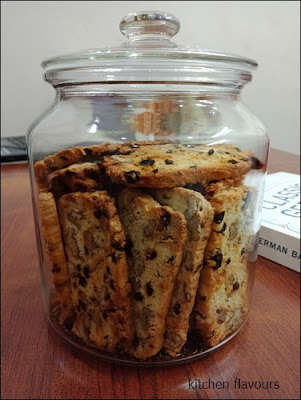 I love biscotti, the crunchy twice-baked Italian biscuits. 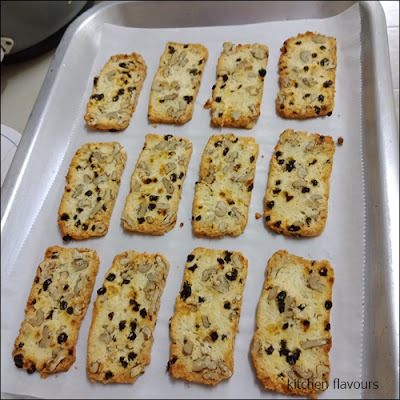 I love eating biscotti with a mug of hot coffee or tea. This German biscuit, Twice-Baked Walnut Crisps is similar to a biscotti, but it is a healthier version, without using any butter or oil. 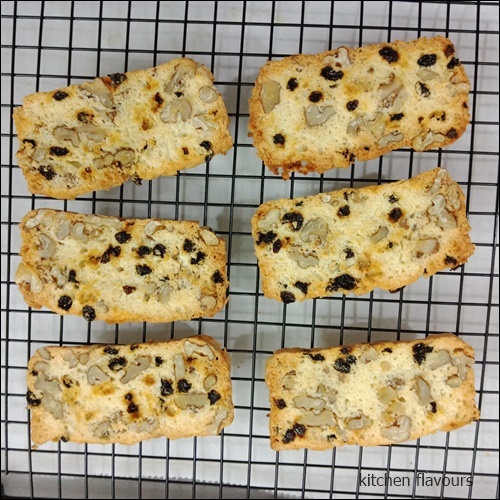 Ingredients used are flour, egg whites, salt, sugar, walnuts and dried blackcurrants. Egg whites are beaten till stiff and glossy, then the rest of the ingredients are added in. Bake until light brown, then the dough is left overnight. The next day, slice the dough to 3mm thick pieces. The dough will be quite sticky on the outside at this stage. 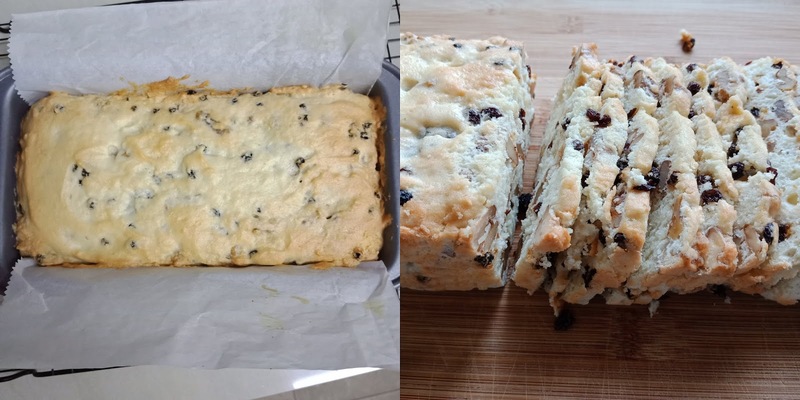 Arrange the slices on a baking tray and bake till light brown. I prefer a crispier biscuit, so I have baked them a little longer, about 3 to 5 minutes longer. They will crisp up further as they cool. I love these crispy biscuits. They are not too sweet and rather addictive. Great with a cup of either coffee or tea. Perfect as a tea-time treat with a mug of warm tea. I baked those with almonds before..were indeed very addictive. Love your version with walnuts.